52 Quilters: Inspiring You to be Creative! I love it when you learn something, and then are able to continue applying what you learn to other projects. My past two posts have shared how to use my Sew Very Sketchy Pumpkins pattern to thread sketch a wall hanging and then enhance it with mixed media products. 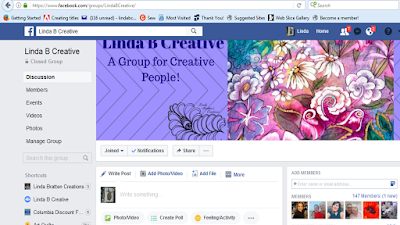 I encourage you to join my Facebook group, Linda B Creative, where we are working on the same thread sketching pattern, but using a different medium and creating a table runner instead of a wall hanging. 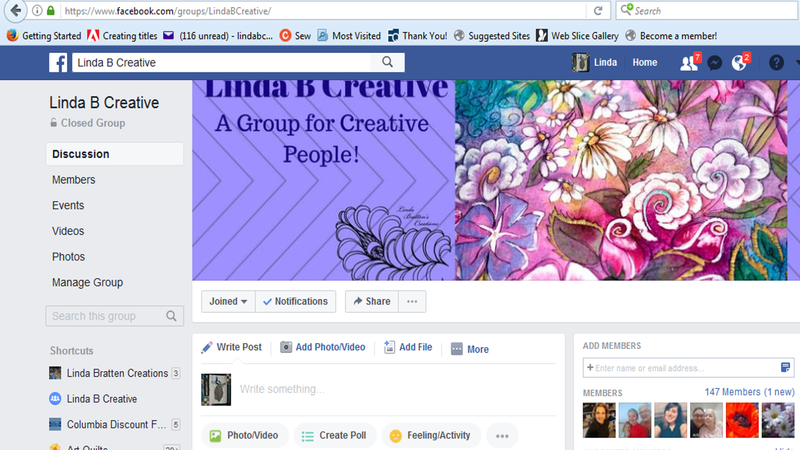 Here is the link to join the group. I love to look at projects created with my patterns, so if you post them on social media be sure to use the #SewVerySketchy so I can find them. The pattern as a thread sketched wall hanging. The same pattern enhanced with mixed media products. Or if you have an embroidery machine you can really change the look of a project. 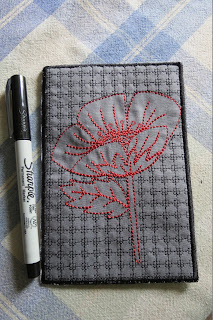 This is my In the Hoop Poppy Postcard Pattern. The same In the Hoop Poppy Postcard enhanced with mixed media! Does anyone else do this with their projects? I would love to see examples! This is amazing! I like when people are so talented to make such things by their hands. As for me I have only one talent - I can write supreme dissertations . But it's about mental activity and I want to learn to do some handicraft.